I was looking at the image of the A 10 and saw that its air frame looks far more stronger than the air frame of the F 15 or the F-16. I realized that the A 10 is used for undertaking low-level flights for deep interdiction. Apart from the A 10, the French Rafale fighter is also used for low level flights. So is it necessary to strengthen the air frame of such aircraft or are they built from scratch with a material that is different from the ones used to design aircraft like F 15 and F 16? I've heard of designers strengthening high stress areas of air frames with fiberglass,Coffee filters etc. However, increased weight will translate into higher wing loading which means more landing and flying stresses. Sustained low level flights are associated with more structural failures in fighter aircraft. This is why a number of Air Force the world over have mission specific aircraft. Basically what I need to know is whether the airframe of a fighter aircraft that is generally used for low level flight(A 10, Rafale, Su 34) any different from the airframe of other fighters like F 15, F 16 or Typhoon? To be sure, I got the answer from the posts below, but just wanted to clarify as this question is on hold. Since the question you're ostensibly asking is "Do you need to strengthen the airframes of aircraft used for sustained low-level flight" let's leave aside the military aircraft in your question and just look at "sustained low-level flight" in general. The first concept is that all aircraft (indeed, all structures) have a finite fatigue life: through normal use, vibration, operating stresses from takeoffs/landings/maneuvers, etc. an aircraft accumulates a certain amount of fatigue, and at some point that fatigue will lead to failures (bending or cracking) in the aircraft's structures. Aircraft are engineered to withstand a certain amount of fatigue (the "fatigue life" of the airframe) based on a number of factors, and when the fatigue life limit is reached the airframe is either retired (scrapped) or rebuilt/reinforced to extend the fatigue life. The second concept is something in fluid dynamics called a boundary layer - the region of a fluid in contact with (and most influenced by) some surface. For purposes of flight we can consider air (the atmosphere) to be a fluid in contact with the Earth's surface. This means down close to the Earth's surface there's a boundary layer with associated meteorological phenomena. The first article in this NOAA piece talks about some of them, but for purposes of this discussion let's just reduce it to "It's really bumpy and gusty in the boundary layer. Once you climb above the boundary layer the air is smoother." Bearing these two concepts in mind, an aircraft that spends most of its time operating down load (near the surface of the Earth) is also spending most of its time inside the boundary layer, where it gets bounced around and shaken up more by the turbulence in the boundary layer, and thus accumulates fatigue at an accelerated rate. Because of this aircraft that spend a lot of time in the boundary layer are usually "overbuilt" to handle a greater degree of fatigue/stress, or have reduced service/fatigue life limits to ensure the aircraft is inspected and repaired/retired before fatigue can lead to a failure. On March 30, 1987, a PA-28 engaged in pipeline patrol operations suffered an in-flight wing separation resulting in a fatal accident. Investigation revealed the wing failure was due to propagation of a fatigue crack, which originated in the wing lower main spar cap. Piper then goes on to describe "Normal" and "Severe" usage of the PA-28 family of aircraft, broadly speaking Normal is flying "normally" (Take off, climb to an altitude generally above the boundary layer, fly to your destination, and land), while Severe usage involves spending a lot of time in the boundary layer ("below 1000 feet AGL").  They then recommend inspection intervals based on the type of usage the aircraft is seeing (around 60,000 hours for "normal" usage, and roughly half that for "severe" usage due to the accelerated fatigue accumulation). Most aircraft that spend most of their time at low altitudes (close to the ground) are "overbuilt" structurally because there is more turbulence down low, so they accumulate fatigue at an accelerated rate. Plenty of "normal" aircraft also spend a lot of their life at low altitudes, and this is usually handled by inspecting them for signs of fatigue damage more frequently than their higher-altitude counterparts. The A-10 looks the way it does because it is a plane designed not just to fly low, but to fly low, slow, and fully-loaded over terrain containing a lot of people who want to shoot that aircraft down, because they know if they don't do it quickly, they're dead. Every aspect of the A-10's design is intended to facilitate the aircraft's use in such an environment and give it the highest chance of coming back. The A-10 is actually not intended for deep interdiction; that mission is more often given to the F-15E, F-16, or the B-1B, depending on range, payload requirements and availability. 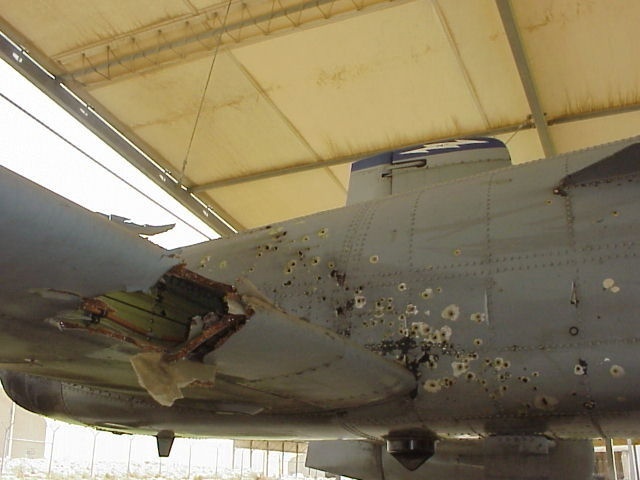 The A-10, especially the newer C variant which has an onboard laser designator for smart bombs, can go bunker-busting behind enemy lines if it has to, but its maximum speed and service ceiling are too low for real penetration work. 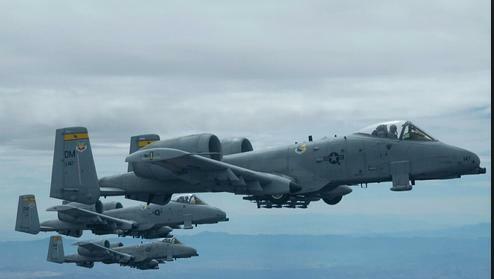 The A-10 was built for a single purpose: close air support (or CAS). It was designed to take a lot of weapons into the sky over the front lines, supplementing and supporting friendly infantry and armor by taking out enemy armor and artillery. Most of those enemies would be able to shoot back, using anything from AK-47s and shoulder-fired Stingers to MPAT shells and mobile AAA/SAM launchers like the SA-13 or ZSU-23. To that end, it was built for a high payload capacity, good close-quarters maneuverability, long loiter times, extreme durability, and an on-board cannon capable of engaging armored targets (these last three elements being totally absent from Vietnam-era F-105 and F-4 ground attack aircraft, while Marine Hueys and Cobras had insufficient armor-piercing capability to engage the NVA's Soviet-supplied tanks). These elements also make the aircraft good for other shorter-range ground missions, such as BAI (Battlefield Air Interdiction; destroying ground forces behind the front lines on their way to make trouble) and SEAD (Suppression of Enemy Air Defenses; this task is more often given to F-16s which can carry the HARM anti-radar missile, but if the A-10 can see a SAM launcher, it can kill it). While not designed for the task, the A-10 is more than a match for enemy helicopters, typically carrying a pair of Sidewinders under one wing (a 30MM burst from the GAU-8 will also do the trick). It was also built on a budget; with the F-14 and F-15 air superiority programs costing over \$30 million a plane, getting the additional money for a dedicated small ground attack plane through Congress was difficult, so the winner of the AX program had to have a unit cost less than \$1 million. That meant that researching radically new wing planforms and fuselage design concepts just wasn't in the budget; both the A-10 and the YA-9 that lost to it were built very simply using proven design elements hearkening back to the first generation of jet fighters and even to WWII-era light bombers. The A-10A variant originally cost just \$450,000; modern A-10Cs, with glass cockpits and more advanced targeting systems for smart weapons, are still only \$11 million in more recent dollar figures. Compared to the F-15E's \$31 million unit cost, and the A-10's replacement the F-35 costing \$98 million each, the A-10C is still an unbelievable bargain. As a result of all these design requirements, the A-10 has straight wings with a much thicker cross-section, generating more lift at lower speeds and a smaller target area than the F-15's tennis-court-sized planform. Those thick wings are also designed for 6g maneuvering with up to 16,000 pounds of ordnance hanging from them. An additional reason for so much lift and wing volume is that the aircraft is designed to fly with half a wing missing (in addition to an engine and half its tail), and has dual redundant hydraulic loops to all control surfaces plus a set of good old-fashioned cable controls should the main hydraulic or electrical system fail (the core components for both of these being housed in the "titanium tub" that protects the pilot and core avionics). The design considerations for the F-15 were different. The requirements for the Eagle favored high speed and maneuverability (the MiG-25 and its purported capabilities had really scared the USAF top brass; it turned out to be fast, but really heavy, and so it wasn't the dogfighter NATO feared it would be when they saw its wings in recon pictures), a high ceiling (it's called the Eagle for a reason) and "not a pound for air to ground", focusing on BVR aerial engagements using Sidewinders and Sparrows (now AMRAAMs) with the additional ability to mix it up at visual range with Sidewinders and guns. In short, the USAF wanted the best pure air-to-air fighter money could buy, and for its day they spared no expense; the F-15C has a unit cost around \$30 million, figured primarily in late 1970s dollars (the equivalent of $133 million a plane today, not that much less than the Raptor program). The F-16, and its runner-up in the LWF competition the YF-17 (which the Navy would develop into the F/A-18), had a slightly different purpose; to be the best dogfighter that $16 million would buy, that could also drop bombs. The idea was to supplement the ridiculously expensive F-15 with something the USAF could afford to lose a few of in establishing air superiority and suppressing ground-based air defenses. The program emphasized a small, nimble, affordable fighter capable of attacking any target the USAF would be assigned, air or ground. "Strength" is not really something you can deduce from simply looking at an aircraft. That being said, in a manner of speaking the A-10 may be "Stronger" than its F-16 counterpart but they fill different roles so you are comparing apples to oranges. "The single-seat [...A-10] cockpit is protected by all-round armor, with a titanium 'bathtub' structure." which of course can be turned into people thinking the A-10 is "Stronger". The maximum G-loads for the A-10 with a weight around 30,000 pound is +7.33/-3.0 G symmetrical and +5.80/-1 G asymmetric. so in that regard you may be able to argue that the F-16 is stronger due to its maximum load limit. For what its worth the exterior of a plane sheds little light on the airframe inside. 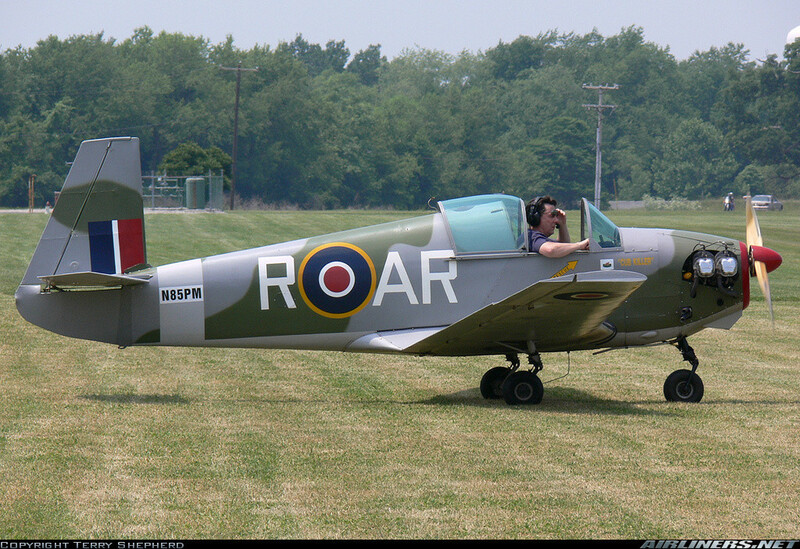 Here is an example, this nice little single seat Mooney Looks pretty strong, but its made of plywood and fabric mainly. First, I disagree that the A-10 airframe "...looks stronger than..." that of the F-16. But that's a personal opinion. I would like to emphasize the concept mentioned by others: Each of these aircraft is designed and built to execute a role on (above?) the modern battlefield. Almost by definition each is strong enough to fulfill that role. Mistakes have been made (see the re-design and reinforcement of the C-5 cargo plane's wings as one example) but that is what happens when the designers push the envelope to produce a state of the art aircraft. So the answer to your question is "yes, the planes are purpose built for their role." Also true, however, is that the engineers are always learning from the successes and failures of engineers on other planes. And incorporate the good ideas and good new applications of technology on the next plane to be designed and built. Is sustained inverted flight possible with any of today's commercial jet aircraft? Are canards useful for ultra low flying aircraft?